A "toothy grin" might be endearing, but not necessarily healthy. 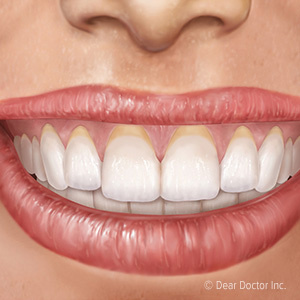 More of the teeth showing may mean your gums have pulled back or receded from the teeth. If so, it's not just your smile that suffers—the parts of teeth protected by the gums could become more susceptible to disease. There are a number of causes for gum recession. Some people are more likely to experience it because of genetically thinner gum tissues. Over-aggressive brushing could also contribute to recession. But the most common cause by far is periodontal (gum) disease, a bacterial infection triggered by dental plaque accumulating on teeth mainly as a result of inadequate hygiene. There are some things we can do to help heal and restore recessed gums, most importantly treating gum disease. 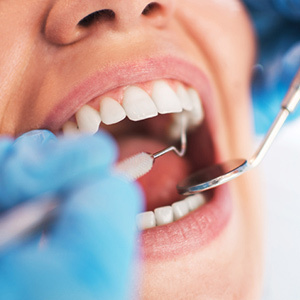 The number one goal of treatment is to uncover and remove all dental plaque from tooth and gum surfaces, which can take several sessions and sometimes minor surgery if the infection has reached the tooth roots. 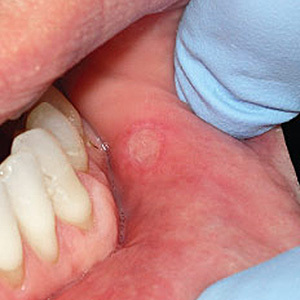 But removing plaque and tartar (calcified plaque) is necessary to stop the infection and allow the gums to heal. For mild recession, this may be enough for the gums to regain normal coverage. But in more severe cases we may need to help rejuvenate new tissue with grafting surgery. In these highly meticulous procedures a surgeon uses microscopic techniques to position and attach donated tissue to the recession site. The graft serves as a scaffold on which new tissue growth can occur. While these treatments can be effective for reversing gum recession, they often require time, skill and expense. It's much better to try to prevent gum recession—and gum disease—in the first place. Prevention begins with daily brushing and flossing to prevent plaque buildup, as well as regular dental visits for more thorough cleanings. Be on the lookout too for any signs of a beginning gum infection like swollen, reddened or bleeding gums and see your dentist as soon as possible to minimize any damage to your gums. Caring for your gums is equally as important as caring for your teeth. Healthy gums equal a healthy mouth—and an attractive smile.